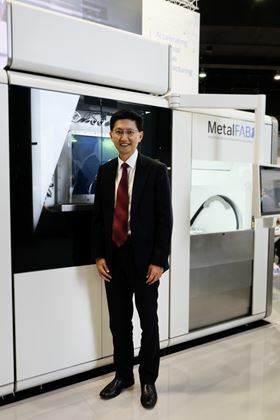 Additive Industries has hired Mike Goh to manage the 3D printing systems manufacturer’s expansion in the Asia Pacific region. Additive Industries has hired Mike Goh to manage the 3D printing systems manufacturer’s expansion in the Asia Pacific region. Goh has over 20 years in regional business development and technical sales management and has been responsible for advancing the business at the Singapore Centre for 3D Printing since early 2015. In his new role, he will set up and run the recently announced Additive Industries Process and Application Development Center in Singapore and build a team to grow the company’s business in Asia. 3D printing company Additive Industries has signed a specialized supplier of metal additive manufacturing and metal treatment solutions based in Beijing. 3D printing specialist Additive Industries has appointed Jan-Cees Santema as sales manager in Europe. Charles Ross & Son Company, which makes industrial mixing equipment, has appointed Christine Banaszek as its new sales manager.